My girls are at the age where acne can start rearing its ugly head. One has combination skin while the other has skin that is quite acne prone. When she first began having issues with her skin, I could have easily gotten her a commercial acne fighter. I did not want to do that though since I knew I could make a DIY acne mask with essential oils that would work just as well and not risk harming her with chemical filled products. I needed a DIY face mask that would work for not only pimples but blackheads as well. This essential oil face mask for acne has been just what her skin needed! 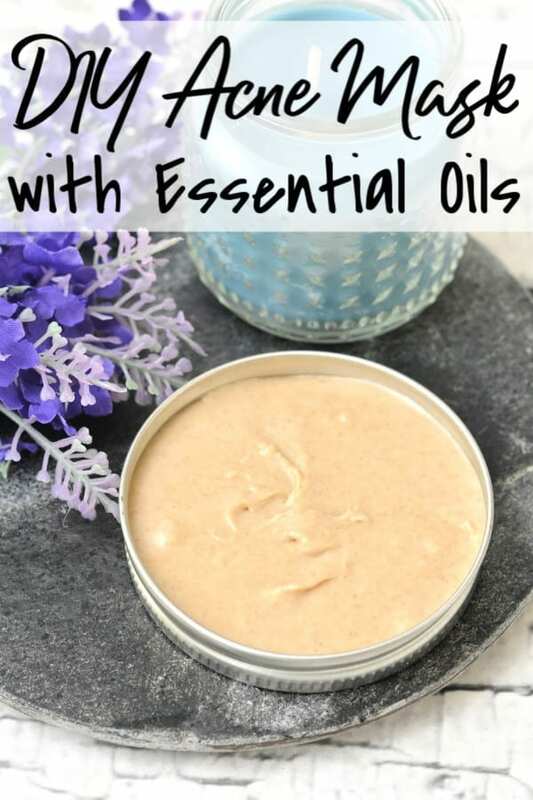 It’s now one of her favorite lavender products I make – only coming in a very close second to my homemade lavender deodorant she uses. 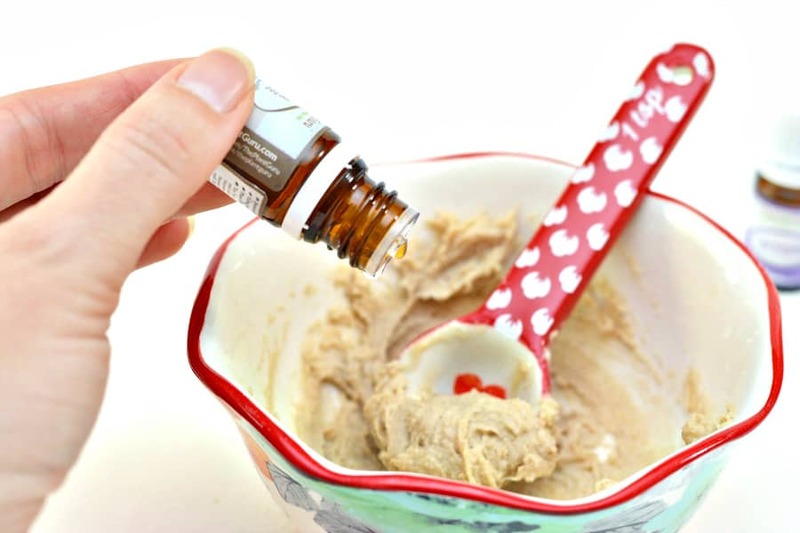 This homemade acne face mask with essential oils works better for her skin than any commercial product I’ve ever tried. In fact, I actually use it for myself since I often deal with adult acne. Even at 37, it leaves my skin feeling so much cleaner than most of the “natural” products I use! My skin is acne free and glows in a way it never has before! If you’re looking for a DIY face mask for blackheads or a DIY face mask for pimples, this one is it! 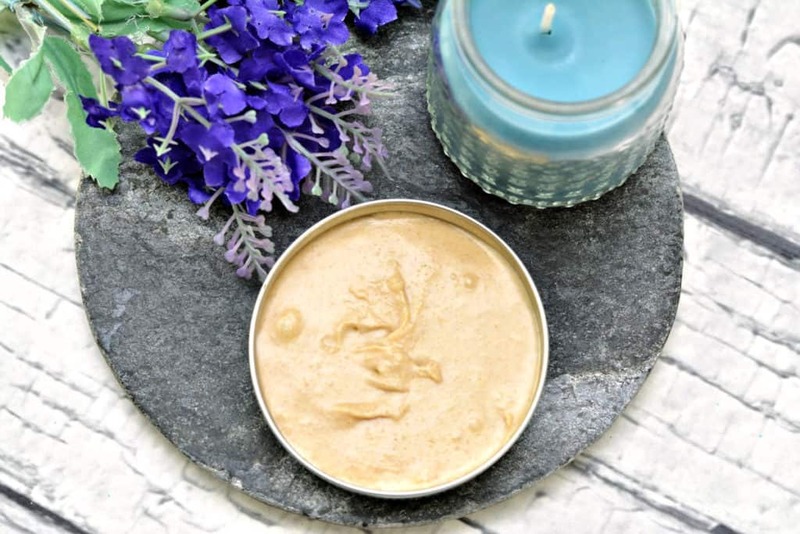 The lavender essential oil and the tea tree essential oil in my homemade face mask combine in a creamy homemade face mask that will soothe, cleanse and leave your skin feeling amazing. The girl child who has acne issues – no, I’m not saying which one; I’d be one dead Mom if I did – has been amazed by how well my mask works! 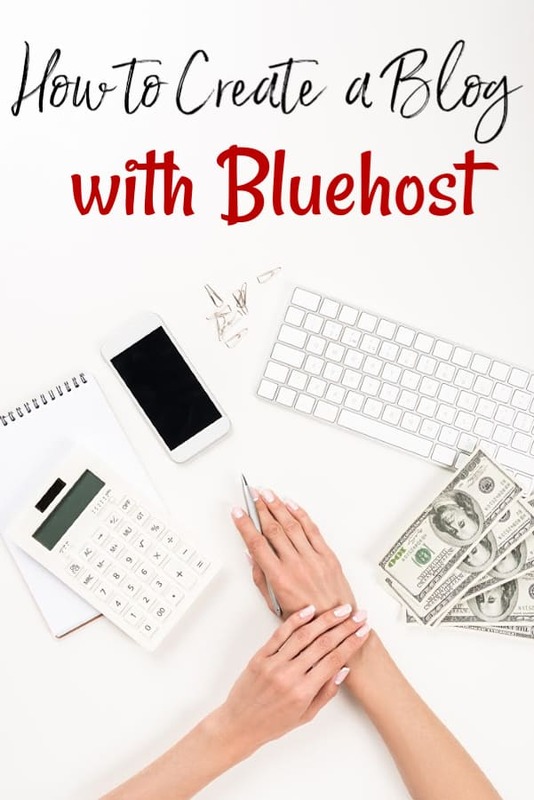 Once you try it, I know you will love it as much as we both do! 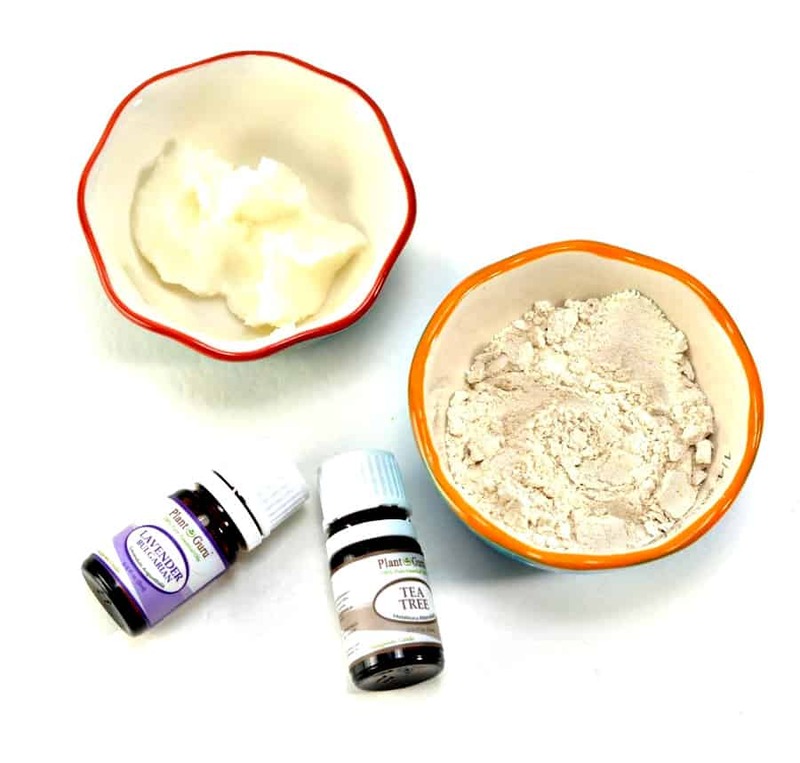 When you make this essential oil face mask for acne, you can use any brand of essential oils you would like. I tend to stick with Plant Therapy Essential Oils or Now Foods Essential Oils usually, but I will use whatever I have on hand provided it is a pure essential oil. Contrary to popular belief, there is no such thing as a “therapeutic grade” essential oil. There are no federal grading systems which means I could fill a bottle with vegetable oil, add 2 drops of lavender and call it therapeutic grade. Use whichever brand you prefer as long as it is 100% pure essential oil. You will usually be able to tell by the smell of the oil if it has been cut with other ingredients. The other ingredients in this mask are coconut oil and oat flour. The 4 ingredients pack a powerful punch against acne when they’re combined togehter. Coconut oil is absorbed easily through the skin, and has antibacterial properties which can be helpful in preventing acne. It also contains lauric acid, which has been found to help in the healing of acne. Oat flour is derived from oats, which have anti-inflammatory properties, and can help soften your skin. Lavender has anti-bacterial and anti-fungal properties, as well as anti-inflammatory properties that help to soothe irritated skin. Tea tree has both antibacterial and skin soothing properties. 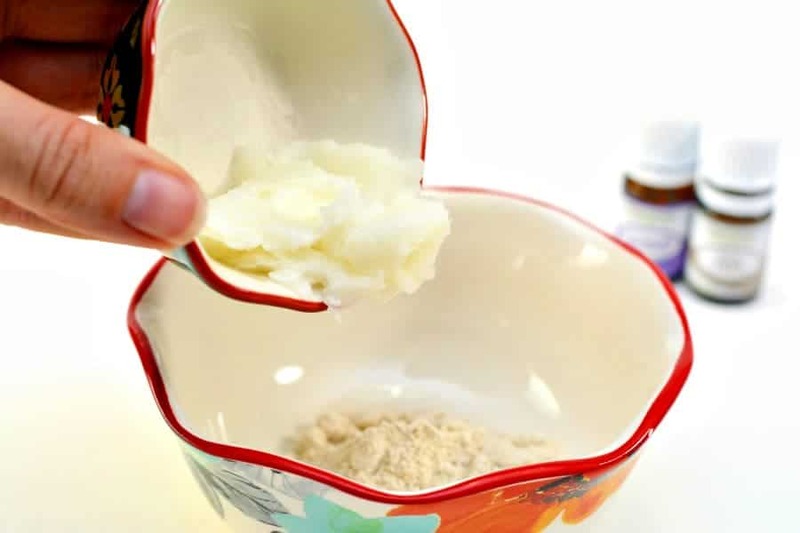 This DIY face mask recipe makes enough for one mask. If you want to make more ahead of time you will need to at least double the ingredients. However, I would not recommend making it up ahead of time. Air is one of the “enemies” of essential oils as are high/low temperatures and light. Once you pour them into the mask, you will need to use it up pretty quickly to avoid losing their healing properties or weakening them. If you do decide to make it up ahead of time, be sure to store it in a glass air tight food storage container. Do not use plastic since essential oils can cause the plastic to degrade into your product. Begin by adding the oat flour to a small glass bowl. As you can see, we simply used a Pioneer Woman measuring bowl for the pics. You won’t need a huge bowl. Measure out the coconut oil and add it to the bowl. Coconut oil is sold below 75° F or so. If yours is liquid, stick it in the fridge to cool it down a bit. 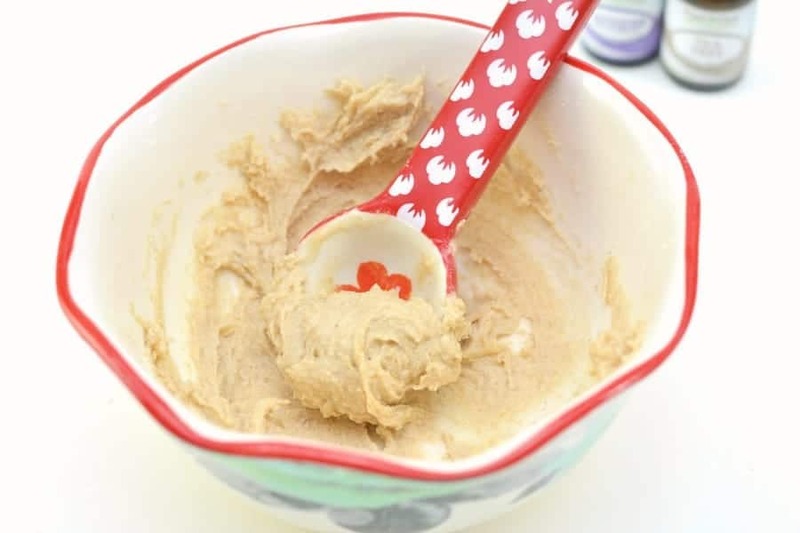 Stir the oat flour and coconut oil together until a smooth paste forms. If your oat flour clumps, do your best to break them up as your homemade face mask will spread much easier if it is not lumpy. I have had it happen to me, but not often. It is usually only an issue if my home has a lot of humidity in it at the time I’m making it. Add the tea tree essential oil and stir to mix it well. Make sure you get it combined well because if not, you’ll end up with parts of your mask that contain no oil. Once the tea tree oil is combined, add the lavender essential oil and repeat. Once your essential oil mask is made, use it as soon as possible. To use, apply a thick layer on any acne prone areas of your face making sure to avoid your eyes and mouth. Let sit for 10-15 minutes or until dry. Rinse your face with warm water and pat dry. One final note; if you have a particular area of your face – such as your T-zone – that is prone to oily skin, avoid putting this mask there. The coconut oil in the mask will not help those oily areas of your skin one bit.